Are you ready to explore Finnish Lapland? Welcome to the official travel website for Finnish Lapland, the home of Santa Claus, the last wilderness in Europe, and part of the Sámi homeland. Lapland is a destination above ordinary, full of contrasts and unique natural phenomena: Polar Nights, autumn colors, Northern Lights, and Arctic cites nestled among Ice Age fells. If you’re looking for the frosty bite of a reindeer sleigh ride or the soft heat of a traditional sauna, you might be ready. If you want to explore the wilderness during a white summer night and meet Santa any time of year, you might be ready. If you’re done with the ordinary, you might just be ready for Finnish Lapland. Find out more below, or follow the stories on our Facebook and Instagram. How to make the most of your time in Lapland – meet locals and find out what northern life is all about. 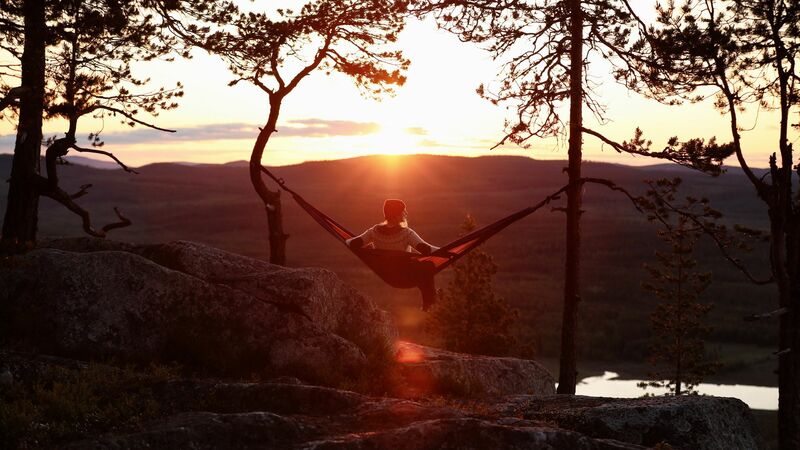 There’s a lot to see and do in Lapland during the summer months. Check out tips for the best summer events in Lapland! Don't like the cold or darkness? No problem! Check out our handy video guide on how to make a campfire, Lapland-style! How to get to Lapland, where to go once here and more useful travel information. Lapland is connected to the world through flights, trains and highways. Traveling from one unforgettable destination to another goes smoothly with your own car, a rental car, by bus or taxi. Lapland has the accommodation you want, from first-class hotel services to hostels and candlelit cabins. Mythical and magical – pristine nature and breath-taking phenomena make Lapland something else. One of the best ways to enjoy Nightless Nights is simply to stay up and enjoy the mystical and surreal atmosphere. Behind-the-scenes of the movie Ailo's Journey, fun facts and fascinating stories about the most important animal in Lapland: reindeer. Follow the small reindeer through the snow-crowned forests of Posio and across the bald Utsjoki fells. When is a reindeer born? Do they hibernate? What do they eat? Learn more as we explore the 1st year of a reindeer's life!